In celebration of the beginning of Autumn (yay) we went blackberry picking. Autumn is my favourite season; I love the cold weather, cuddling up on the sofa under a blanket and the leaves changing colour. There is something so pretty about this time of year. Fruit picking has become one of our favourite things to do as a family because it gets us outdoors and is a relatively inexpensive activity. Oliver absolutely loves helping us to pick the berries and place them into the carton. 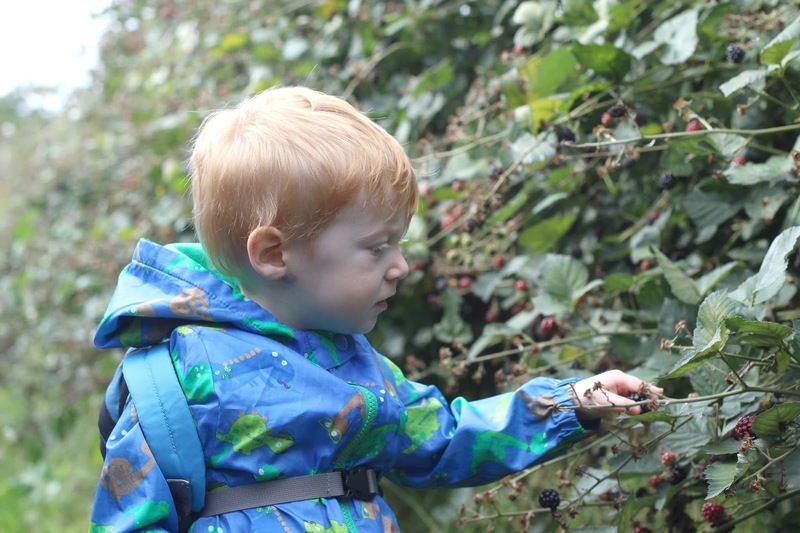 One of the sweetest things is to see him picking a berry and shouting 'berry daddy!' as he races over to Steve to give it to him. If you watch our weekly vlogs, you will know that I love cooking for my family. One of the most satisfying things is going out and picking our own fruit, then coming home and making something with it. I made a blackberry pie which came out much better than I was expecting considering it was my first attempt. 1. Combine the blackberries, sugar, flour and cinnamon on a low heat. I didn't measure out the quantities as I prefer to taste until it is to my preference, I kept adding more sugar/flour/cinnamon until I was happy. 2. For the pastry I used a ready rolled shortcrust pastry sheet (shh don't tell anyone) and simply assembled in in a round 9" pie dish. I brushed the top with egg and sprinkled a little sugar on the top to sweeten it. 3. I baked for around 35 minutes at 200C, but again I didn't follow timing religiously as I prefer to just check every 5 minutes or so to see if it has browned. 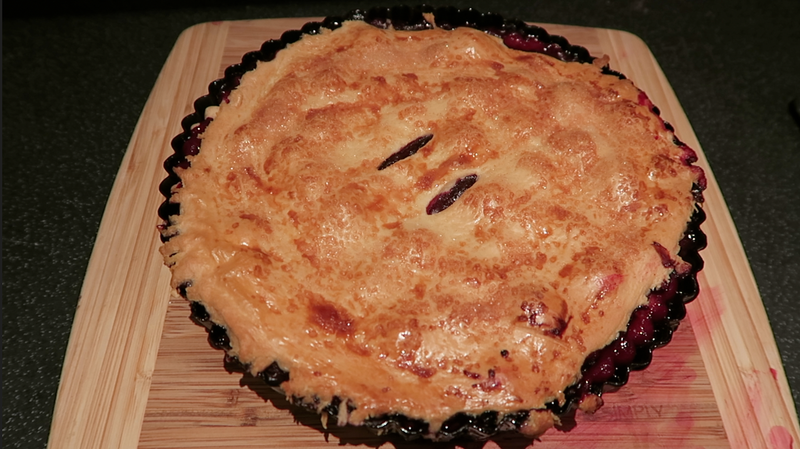 And voilà, a really quick and simple blackberry pie!